Instrument Cases – Royal Case Company, Inc. Instrument cases are particularly useful in safeguarding fragile items, such as medical, musical and electronic instruments. Electronic instrument cases are specifically created to carry audio/visual equipment, recording equipment, batteries and other sensitive tools. Medical instrument cases, on the other hand, protect vials, syringes, medicine and other materials. Electronic instrument cases and medical instrument cases can vary in size, material, and color. 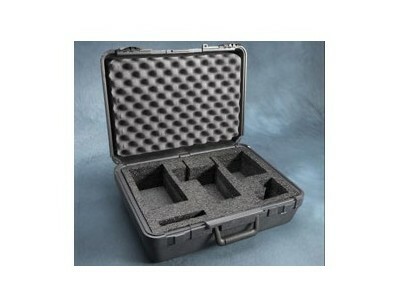 These instrument cases are usually lightweight and indestructible and contain foam inserts. 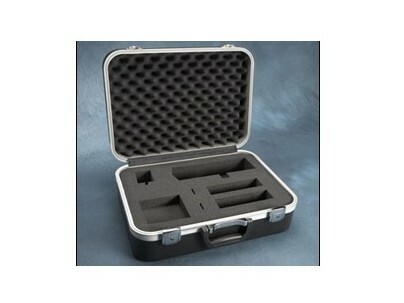 Instrument cases can also be personalized by displaying company colors or logos on the exterior. Instrument cases may be constructed from aluminum, steel or plastics such as high density polyethylene (HDPE), fiberglass reinforced polyester (FRP), carbon fiber, rotationally molded polyethylene or linear low density polyethylene (LLDPE). Many are rectangular in shape with packing material inside such as packing peanuts, heavy foam, special racks, shelving or a lining made of paper, foam, rubber, plastic or other materials. While some instrument cases hold musical instruments and are therefore critical for many musicians, the scientific community also relies on instrument cases to safely transport and store important tools used in medicine, research, engineering, biology and other applications. Instrument cases can range from large crates to very customized and specific enclosures. For especially sensitive, delicate or expensive items, the packing material inside is often custom cut foam that is specially made to fit securely around the item. Because of the variation in materials, many different fabrication methods are used to create shipping cases. Metal carrying cases are made from sheets of metal that have been fastened onto a metal frame. Raw metal is melted together until uniform then cooled into slabs which are pressed through a series of rollers until it reaches the desired thinness. The sheets are then bent into the customized shape and dimension and welded or screwed together. The metal frame is usually constructed of extruded aluminum or steel. The corners are often reinforced with metal panels for longer life. Plastic shipping cases are molded through a number of processes including blow molding, injection molding and rotational molding. FRP plastics have fibers that are first woven, knit, braided or stitched together before bonding to the surface of the matrix, a tough plastic. Additional features include latches, swivel casters, rubber gaskets for waterproofing, shock mounts, enhanced and fortified steel or aluminum framing, buckles, straps, molded tracks for easy stacking or many other options. Instrument Cases Instrument cases are used to carry and protect various instruments while they are being moved and can provide protection for a wide variety of industrial items during shipping and transportation. They have the important role of protecting their contents from shock, vibration, moisture, dust and other potentially damaging factors.